Anti-Chafe Countour Girth Elastic both ends from Shires Equestrian. 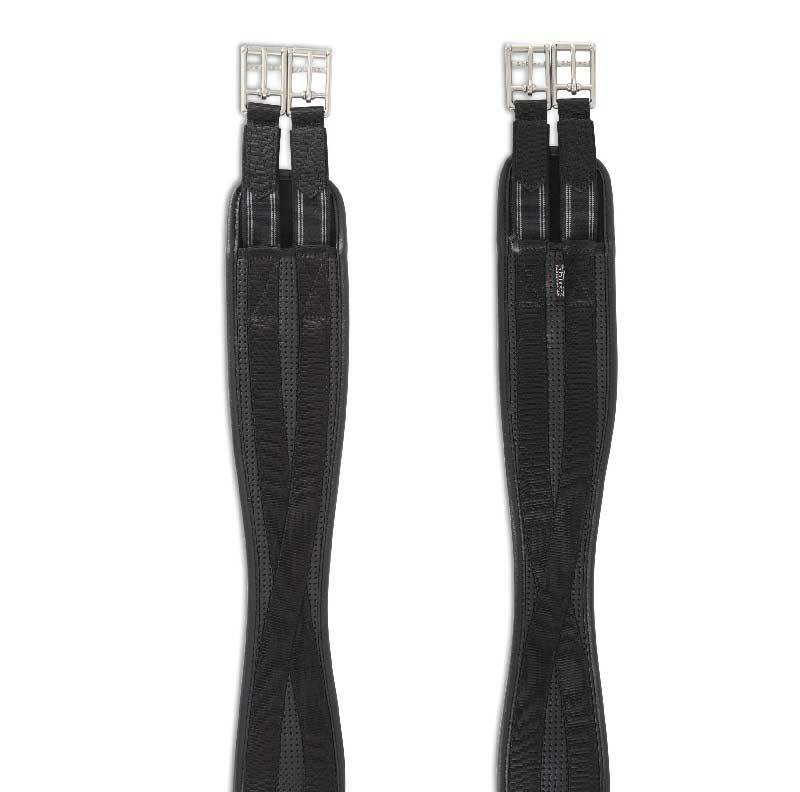 This durable synthetic girth featuring double elastic at both ends is countoured for freedom around the elbows. Elastic at both ends provides even pressure and also helps reduce the liklihood of pinching. Available in Black or Brown - sizes 36"(90cm) to 60"(150cm).